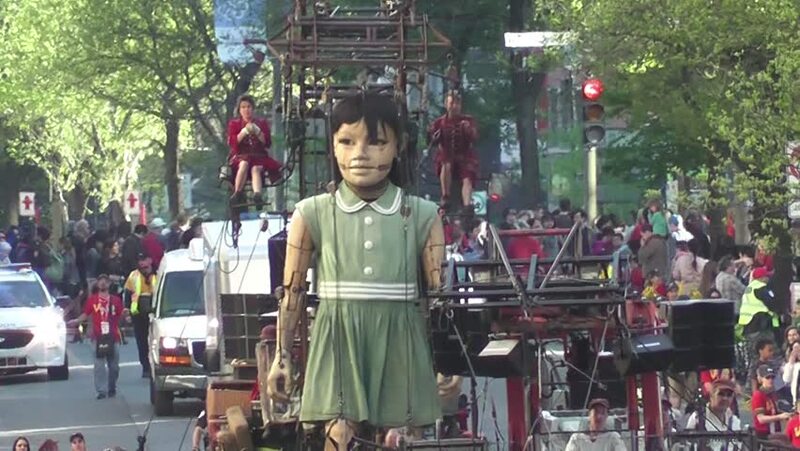 May 19-21, 2017: The little girl-giant walking toward the street of Montreal, Quebec, where she will meet her uncle. The Giants were in Montreal to celebrate Montreal's 375th anniversary. 4k00:26A group of drummers in batucada, dressed like egyptians, opens the Great Aguilas Carnival. Aguilas, Spain February 26th, 2017.
hd00:16India, Mumbai - March 2011 - People in the streets of Mumbai. sd00:06BAT TRANG, VIETNAM - CIRCA APRIL 1998: People selling goods in a street market circa April 1998 in Bat Trang, Vietnam.